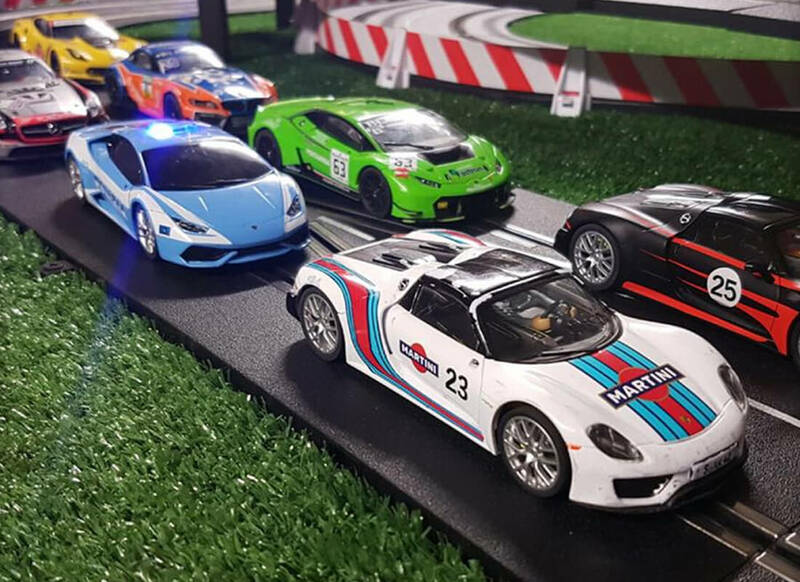 GT Raceway, the “Scalextric” hire company, offering a realistic and exhilarating racing experience for all! 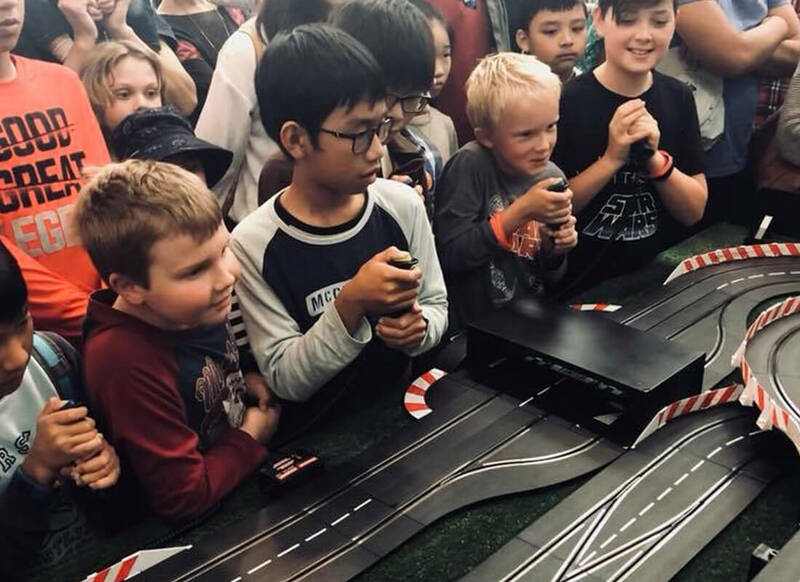 The track and cars are suited to all levels with individual custom programming, insuring that all ages have an awesome racing experience. 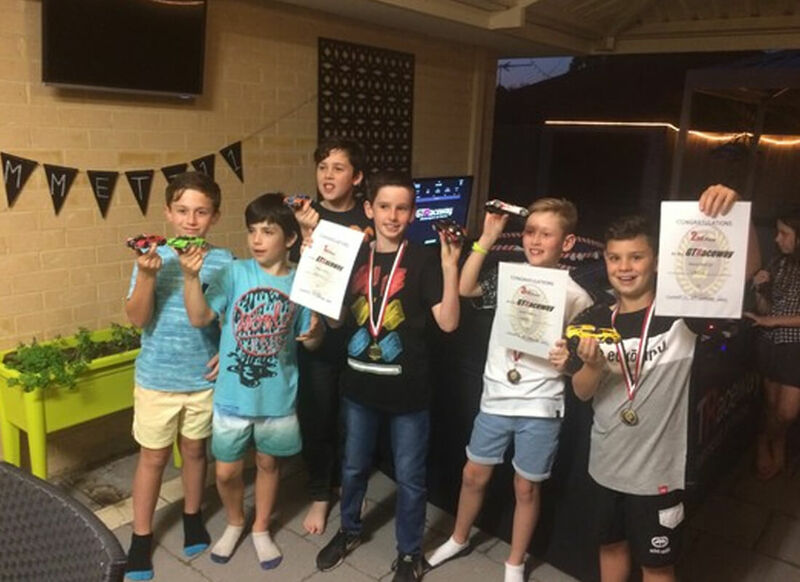 You can have up to SIX racers on at any one time making it as real as possible. 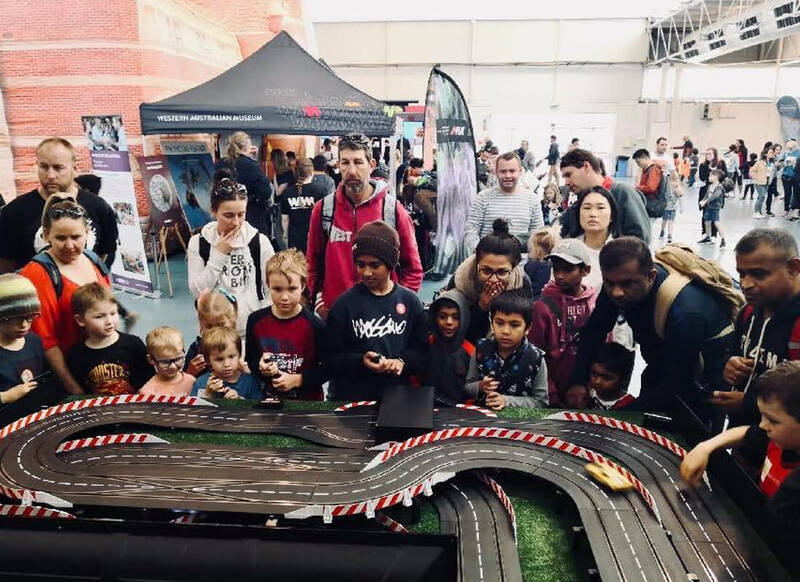 Every race is digitally recorded using the latest technology and displayed on the screen so the racers can see who’s the fastest and who’s the best of the best! It fully interacts with the drivers to let them know who’s doing what so you don’t have to take your eyes off the prize! We always have two hosts that run the event so the adults can sit back and relax. Please note the space required for the set up is 3×3 metres. Minimum age recommended is 4. 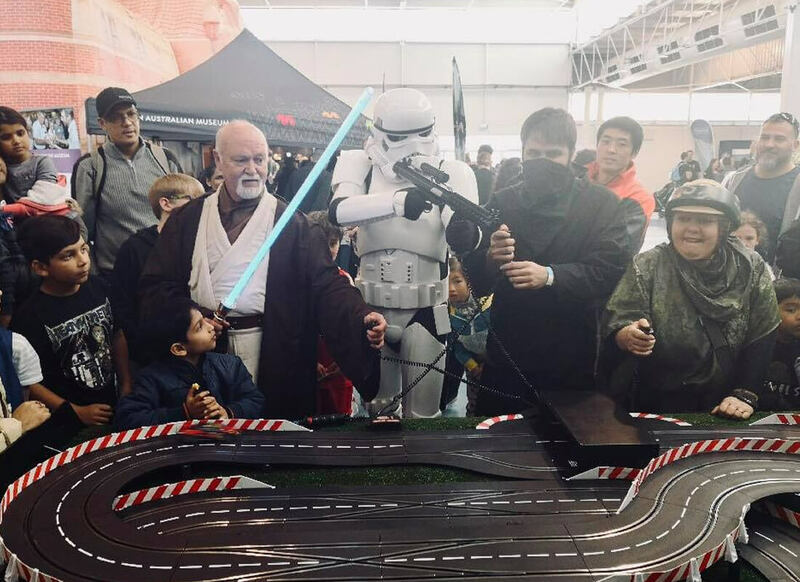 No maximum age as you are never too old for slot car racing! 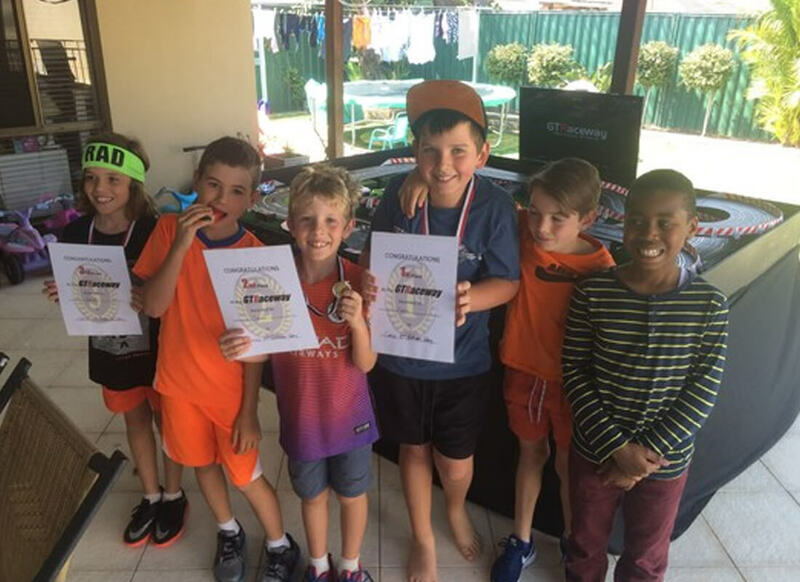 We pride ourselves on safety with all electrical equipment meeting Australian standard and everyone of the GT Raceway team carries a “Working with children” card. Safety of all our clients is of number one importance.